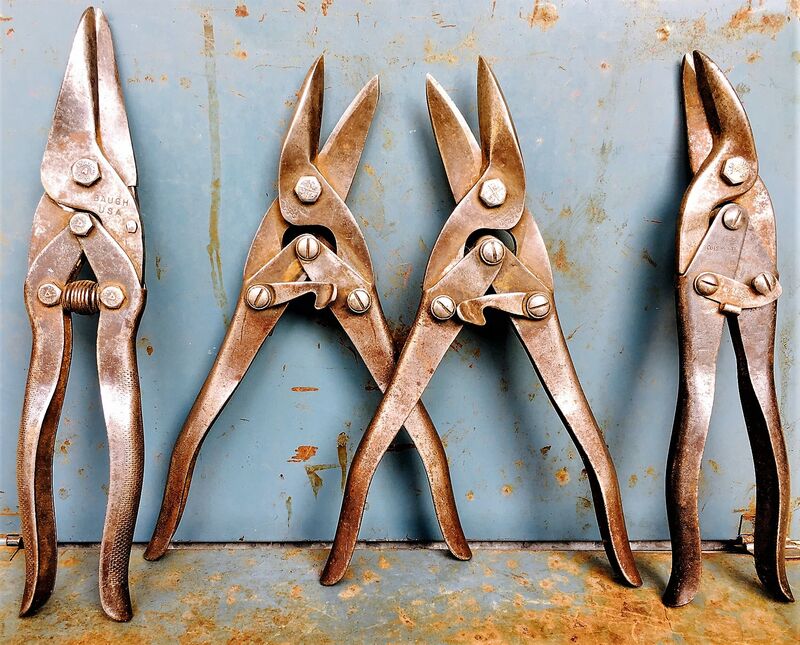 Featured here are four pair of vintage snips from a variety of manufacturers. Two pair are from Chas Klenk of Wilmington, Delaware, one pair is from J. Wiss of Newark, New Jersey, and one pair is from the Rockford S.P. Company of Rockford, Illinois. Each is about 9-10 inches in length. All are in great shape for their age, with just the right amount of patina. These would make great additions to an antique toolbox, a garage pegboard, or a steampunk décor.